Atlético PR and Wilstermann face at Estádio Joaquim Américo Guimarães, in a match for this stage of the Copa Libertadores (Group Stage). These two teams have never met before, so this will be the first head‑to‑head between them. The home team comes to this 2nd round of Group G after a loss in their debut in this group stage, against Deportes Tolima, by (1‑0). They come to this match after a home win against Toledo by (8‑2). Atlético PR has won 7, tied 1 and lost 2 of the last 10 home matches. Defensive consistency hasn’t been their best feature, as they have conceded goals in 7 of the last 10 matches, but their offense has scored consistently, as they have scored goals in 7 of the last 10 matches. In 15 matches, they have conceded the first goal 6 times and have only turned the score around in 1. 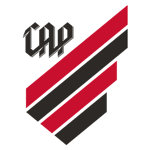 Confirmed Lineup: Santos, Thiago Heleno, Jonathan, Léo Pereira, Renan Lodi, Bruno Guimarães, T. Andrade, Nikão, Camacho, M. Ruben, Rony. The away team comes to this 2nd round of Group G after a draw in their debut in this group stage, against Boca Juniors, by (0‑0). In their last match, for the LFPB, they got an away win against San José by (0‑3). 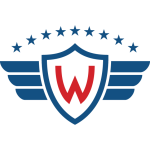 In the last 10 away matches Wilstermann has won 4, tied 2 and lost 4. Defensive consistency hasn’t been their best feature, as they have conceded goals in 7 of the last 10 matches. In 15 matches, they have conceded the first goal 8 times and have only turned the score around in 1. Confirmed Lineup: A. Giménez, Alex Silva, E. Zenteno, A. Melean, C. Chávez, J. Aponte, J. Ortíz, F. Saucedo, Lucas Gaúcho, A. Núñez, Serginho.